I’d lost track of John Woo, until this suddenly popped up as a Netflix Original film. Seems like his only other directorial output since 2010 was The Crossing, a two-part story which underperformed worldwide, and appears to have been a Chinese version of Titanic. Thanks, but I’ll pass. This is closer to what we’d expect as “traditional Woo”. 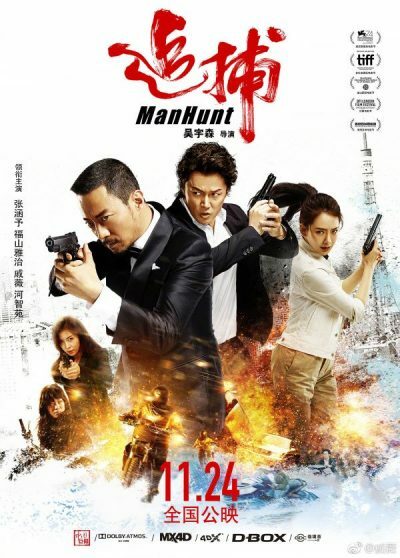 Chinese lawyer Du Qiu (Zhang) is framed for murder in Osaka, but escapes custody and goes on the run. 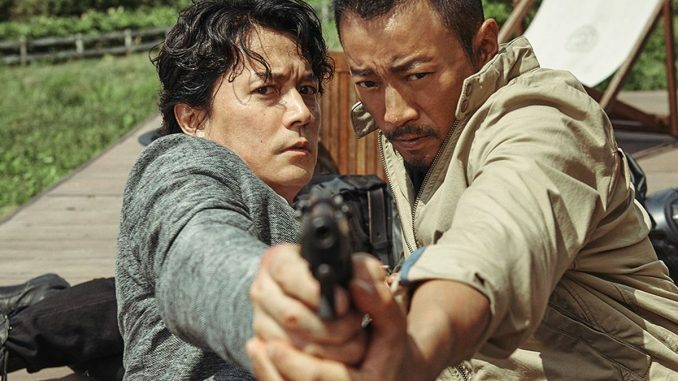 In pursuit is detective Satoshi Yamura (Fukuyama), who increasingly grows to believe the Du is innocent, and being set up by his former employer, Tenjin Pharmaceuticals. Turns out there was a murky and ongoing project to create a super-stimulant for military purposes, involving illegal testing on humans. On one side of the ensuing conflict, you have Du, Yamura and Mayumi (Qi), the fiancée of a Tenjin researcher who committed suicide on their wedding day. On the other, various corrupt people and a pair of assassins in the pay of the company. However, even these moments can’t overcome the problems with the leads, who leave me yearning for the charismatic likes of Chow Yun-Fat. The more excessive and overblown a film goes, the greater the need for a grounding presence at its center, who can give the audience something to hold onto. That’s perhaps why I always preferred Woo’s work in the eighties and nineties to the films of Tsui Hark, which lacked that solid core. It’s also missing here, and the results, similarly, are lacking any permanent impact.